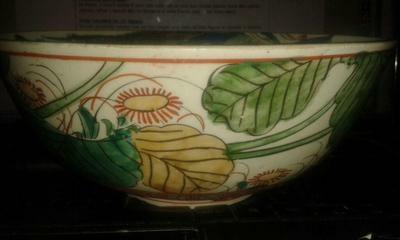 I bought this bowl today? But what have I bought? 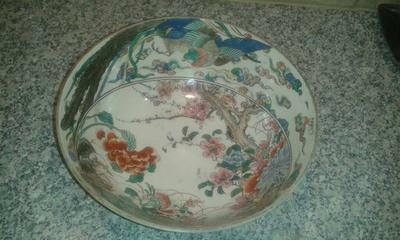 A bowl from Japan? China? our Europe and how old can it be? 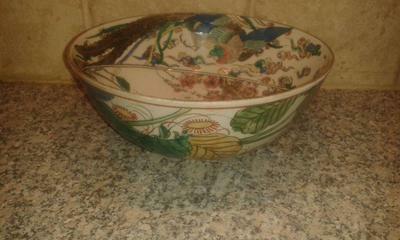 Comments for Tobacco leaf bowl Japanesse? Chinesse? Europe? 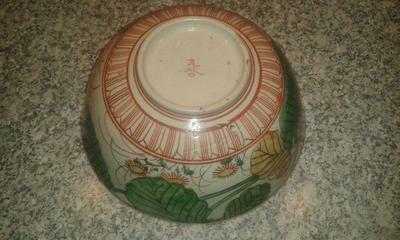 This does not look like a traditional Chinese decoration. A closeup picture of bottom and mark might show if it could be Japanese.